"I hope the Election Commission has the courage to go against what the BJP is trying to ensure here," Omar Abdullah said. Election Commission muster the courage to hold assembly elections, Omar Abdullah said. 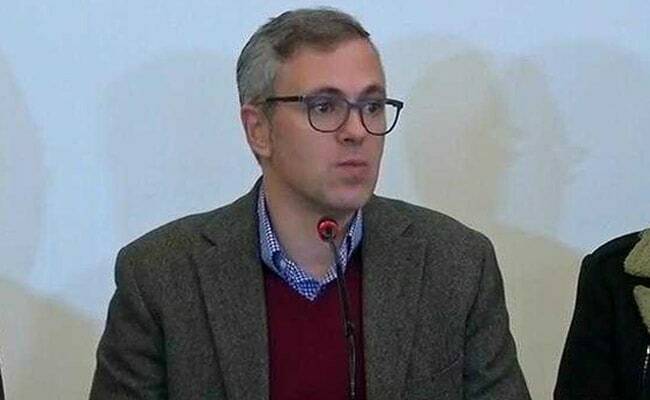 Former Chief Minister of Jammu and Kashmir Omar Abdullah today said he hopes that the Election Commission muster the courage to hold assembly elections, so the state's people get an opportunity to elect a new government. "I hope the Election Commission has the courage to go against what the BJP is trying to ensure here. I hope in this case, in this Election Commission, we see the shades of TN Seshan or past Chief Election Commissioners who didn't toe the government line and decided what was in the interest of the organisation," Mr Abdullah told NDTV. Asked if his statement was not premature, since the Election Commission is expected to take a call on the matter this weekend, Mr Abdullah said he was saying this on the basis of what he heard about the intentions of Governor's administration in the state. Governor Satyapal Malik, he said, has told government officials that assembly elections in the state will not be held soon. "I believe that yesterday, no less than the Governor of the state had a meeting in Jammu, in which he told officers not to be in the mistaken impression that an elected government will be formed soon," he said, adding that either the Governor's "ability was at fault" or he is carrying out the BJP agenda. The former chief minister said the people of the state deserve an elected government and urged the Election Commission to take a call in the interest of the people. "I hope the Election Commission decides that people of J&K deserve an elected government and they give us an opportunity to vote for one," said Mr Abdullah. Jammu and Kashmir has been under Governor's rule since last July, when the BJP ended its ruling alliance with Mehbooba Mufti's People's Democratic Party. While assembly elections are due in the state, the Election Commission said the state government has advised against it in view of the security situation.